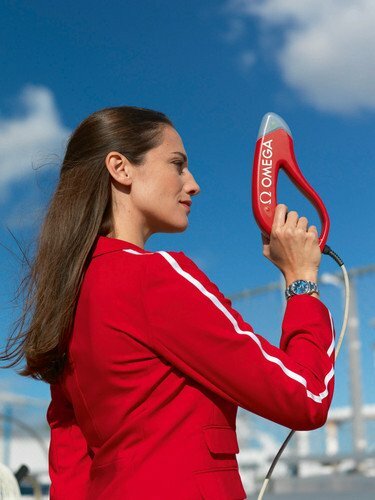 The new Omega ”soundless guns” have created an interesting twist in the past 15 years. The new starting “gun”, which made its debut in Vancouver 2010, does 3 things when the starter pulls the trigger: (1) flashes a light (2) sends the sound to the speakers (3) starts the timer. I personally don’t like it, but at least they won’t ask questions at airport security! Even the new Omega starting blocks were a concern that Usain Bolt bought one last year. Starting guns, whether shooting “blanks” or “caps” vs. electronic guns (e-gun?) will always have their controversies, which I covered back in 2008 titled, The Olympic Starting Gun and Starting Blocks Controversy. With regular starting pistols, the other lanes have a tougher time hearing the gun, especially Lane 8 and the 400 meters, and even worse, the 4x400m relay and the 3 lane stagger. With the electronic guns, the sound distance from speaker to sprinter’s ears is equidistant, but you hope the speakers are turned all the way up! There was a lot of controversy at the 2013 Melbourne classic, from the men’s 100 meters to women’s 100mH. 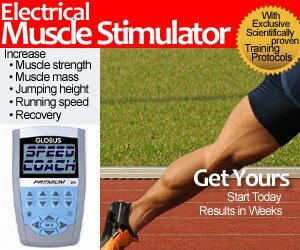 Below is an amateur video of the men’s 100 meter finals. Can you see (or hear), from a finish line standpoint, the sound of the starting gun. As a spectator, it’s terrible as I prefer to see the white smoke to get a decent hand time. Can you hear the gun? Officials admitting they "failed to turn the speaker up". Wallace Spearmon and a few others seem to miss the 100m start as well. One of the most unusual protests at the 2012 World Junior Championships in Barcelona was the Men’s 400 meters semi-final. Kenyan Alphas Kishoyian was in Heat 1 of the semi-final, but he wasn’t settled in his blocks when the starter called “SET”, despite being in Lane 6. The gun fired, and Kishoyian expected a call back or false start, but that never happened, and he re-ran the race alone for time on the very same day. I remember when a protest called for a re-run of the race, but for the Finals! I think even Steve Williams or Bill Collins remember this vividly as they were there probably in the stands or watching the race in the Athlete’s village, as they would set the WR for the 4×100 meter relay. In the 400 meters, Alberto Juantorena was given lane 8 and claimed he didn’t hear the gun as he got off to a very poor start for his first 100 meters. The protest was overturned with the 400m re-run the next day. READ Are You Pushing Your Kid too Far? Wow, what a stride. Funny how now-a-days he’d be scolded for planter-flexing and positive shin angle.